Because of Technology Works for Good, and the gifts that our consultant Ted Johnson has brought us, we have an increased understanding of how technology can work to make our office more efficient. Rhonda Buckley, founder and executive director of The Patricia M. Sitar for the Arts in the Adams Morgan neighborhood, Washington DC. The Sitar Center (http://www.sitarcenter.org) is a community arts organization offering after-school, Saturday, and summer arts education programs that are accessible and affordable for every Adams Morgan resident. It focuses on activities for at-risk children, youth, and their families. By providing a structured, nurturing environment for exploring music, dance, drama, writing, and visual arts, the Sitar Center serves as a catalyst for developing the cognitive and life skills of all participating residents. The Center’s programs help students gain self confidence, which carries over to schoolwork and to the rest of their lives. As a Technology Works for Good member through the Eugene and Agnes E. Meyer Foundation’s Technology Circuit Rider Program, the Sitar Center had the opportunity to work with a technology consultant to think through how it could use technology practically and strategically to accomplish its mission more effectively. The objective is to transfer knowledge, provide solutions, and build nonprofits’ interest in, and enthusiasm for adopting appropriate technology tools. When Technology Works first met Rhonda, the Sitar Center had already set up a basic Web site (built and hosted by a volunteer), the staff was using personal e-mail and dial-up internet, and some of their computers were networked (but not the Macintoshes in the student classroom). The first step was to establish a technology baseline. Ted initiated a thorough technology assessment, focused on how the Center’s use of technology supported and impacted its operations and service delivery. The audit identified several problem areas that could be tackled in the short term with available funding, as well as longer term strategic areas and priorities. Internet access: Ted assisted to find and select a cost-effective DSL provider for high-speed Internet access. Web host and e-mail upgrade: Ted provided hands-on help to move Sitar’s Web site to a new inexpensive (but reliable) service provider that also provided domain e-mail services. Now the Sitar Center staff are able to manage e-mail and new users themselves. Web Site management: Ted collaborated with the Sitar Center Web designer to ensure efficient and ongoing content updates and site management. He trained the Web designer to set up the template feature in Macromedia Dreamweaver, so that design elements could be efficiently managed across the Sitar Center’s entire site. The bigger technology challenge and need at The Patricia M. Sitar Center for the Arts for the longer term was a full network upgrade. The idea of how to find a quality vendor at an affordable price seemed a daunting task. In his role as technology consultant, Ted’s major time and work effort with the Center was devoted to educating the staff about the Request For Proposal (RFP) and technology vendor selection process. No funds were available in the Center’s budget for such a big infrastructure project, so Rhonda decided to apply for a Management Assistance Program (MAP) grant from the Meyer Foundation. As preparation and input for the formal request, Ted worked with the staff to define their requirements in a Request For Quote (RFQ). The RFQ was circulated with several potential vendors in order to get a ballpark recommendation and price estimate they could use in their formal MAP proposal. After a successful award from the Meyer Foundation to fund the network upgrade, the next step was to write and issue the formal Request for Proposal to the group of network vendors. With Technology Works assistance, the Sitar Center was able to develop their own set of vendor selection criteria. Ted read all five vendor responses and functioned as the “gatekeeper” to manage and respond to their technical questions during the vendor Q&A phase. His role at this point was as a trusted “honest broker” to facilitate the Sitar Center staff’s own decision making and to empower them so they could be confident they were making the right decisions for their organization. In a short period, the Executive Director was able to narrow the field to two finalists. She made her final decision using a script and questions that Ted had helped prepare for them to screen the vendors’ reference customers. Once Sitar had selected the winning vendor for the contract, Ted followed through with “win-loss” feedback to the other vendors to provide insights on where their proposals had fallen short in meeting the Sitar Center’s requirements. 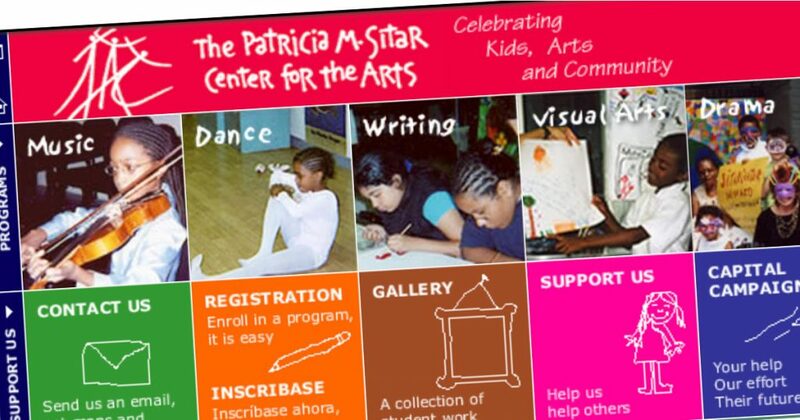 With the help of Technology Works for Good, The Patricia M. Sitar Center for the Arts was able to move forward and fund its network upgrade project in a timely and efficient manner. Equipped with new knowledge about technology and a disciplined RFP evaluation framework, Center staff were able to direct the vendor selection process and retain control of the project outcome with confidence. The Sitar Center is now in process of implementing the network upgrade with their chosen vendor, Computer Network Systems Inc., and is awaiting delivery of the new server. Ted will be helping project manage the network implementation. Innovative, imaginative, and strategic thinker. Capacity building for nonprofits and NGOs.